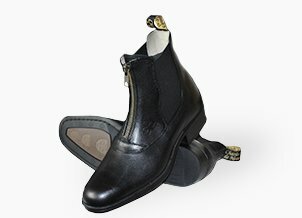 Reproduction is a “luxury” function. 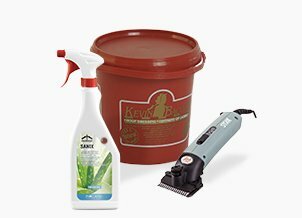 It is only assured if other requirements notably those of maintaining vital functions are covered and if the animal is in good health. Thus, first affected by any feeding error, reproduction is also the last to benefit from appropriate correction. We can then understand all the importance of feeding a balanced diet, supplying not only correct amounts of energy and protein, but also vitamins and trace elements. 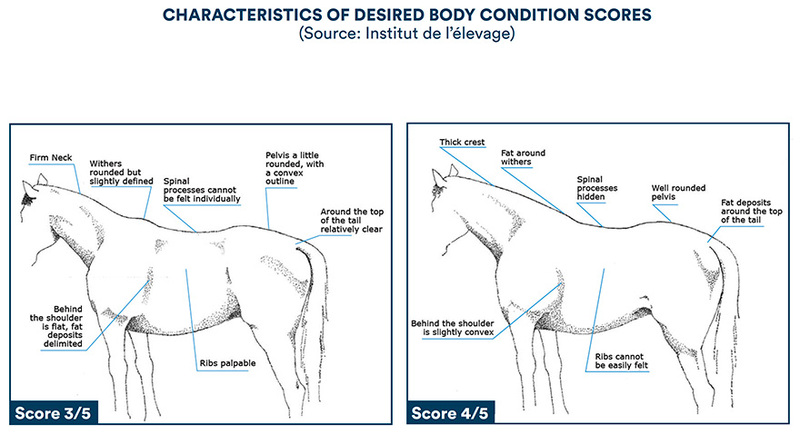 Body condition is a good indicator of the animals health. Therefore it must be evaluated with precision and adjusted in an optimal way. It has been shown that overweight or underweight mares are less fertile. That of Caroll and Huntington (used in France) which attributes a score of between 0 to 5. That of Henneke (Anglo-Saxon method), whose scores range from 1 to 9. These two methods are based on evaluating adipose deposits (fat) by palpation at certain precise spots backed up by visual assessment. Normally ovulation takes place between the 5th and 7th day in the 21-day cycle. However, when mares are too fat or too thin the progression of cycles may be disrupted. In these two extreme cases, fertility problems will be linked to a disturbance in insulin secretion (glycaemia regulating hormone secreted by the pancreas) which will be insufficient in underweight mares and in excess in the case of them being overweight. Whilst overweight, important secretions of insulin caused by the ingestion of a concentrate ration with a high glycaemic index, that is to say rich in carbohydrates (starch, simple sugars), may notably lead to, directly and/or indirectly, an exaggerated production of androgens by the ovaries which will prevent the correct progression of the cycle and inhibit ovulation. In mares who have insufficient body condition, the ingestion of a low energy ration with a low glycaemic index (poor in cereals) leads to limited insulin secretion. Now, the latter notably stimulates the production of leptin, favouring the liberation of sexual hormones by the brain. In consequence, low circulating levels of leptin hamper the correct progression of the cycle up to ovulation. Finally, diversifying energy sources by substituting some cereals with fats and oils presents a number of interests. To start with, lipids allow the maintenance of sufficient body condition as they are very high in energy, and without over-stimulating insulin secretion. 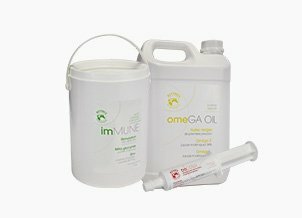 Next, choosing fats and oils rich in essential fatty acids, notably omega 3s, is beneficial to maintaining good fertility in mares. In effect, metabolising essential fatty acids leads to the synthesis of different compounds, amongst them prostaglandins, which are considered “local” hormones having a brief but very powerful action. Omega 3s are the most interesting because, unlike omega 6s, they only generate prostaglandins beneficial to the organism.. These latter notably allow an increase in blood flow in the uterus and obtain larger corpus luteum, these two parameters being fundamental in the establishment of gestation and foetus development. Essential fatty acids cannot be produced by the organism, therefore they must be provided in the diet. As cereals contain excess omega 6s and are nearly devoid of omega 3s, it is important to re-establish in the ration an omega 3/ omega 6 ratio that is beneficial to the organism (a voluntary reversal) superior or equal to 1. 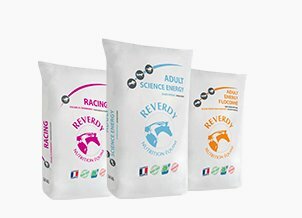 To do this, all feeds in the REVERDY range contain important quantities of extruded linseed, rich in linolenic acid (natural omega 3),, therefore complementary to cereals. 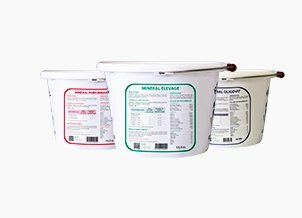 It should be noted that our top of the range feeds contain in addition to extruded linseed, first pressed linseed oil, which can also be incorporated separately (in a mix with maize germ oil) via the supplement REVERDY OMEGA OIL. A ration deficient in protein inhibits the production of sexual hormones in the brain. The opposite, a diet providing surplus nitrogen will lower fertility in many ways. Firstly, it leads to a hepatorenal overload which predisposes to a hormonal unbalance by hindering the catabolism of sexual hormones. Equally it can lead to a “poisoning” of the organism by nitrogenous waste (urea, ammonia, etc.). Early spring turn out which leads to the ingestion of young grass rich in non protein nitrogen can, when consumed in excess, be responsible for a nitrogenous overload, at the origin of case of anestrus observed in some mares during this period. Furthermore, ammonia and its metabolites are toxic for gametes (sperm and ovules) and embryos and can destroy the ciliary process necessary to transport the ovule in the genital tract. Lastly, an excess of urea is able to modify the uterine pH rendering the environment unfavourable to the implantation of an embryo. In order to avoid any surplus or deficiency in protein during the winter months, it is advisable to distribute ordinary meadow hay (between 8 to 10% protein per kg of dry matter) to barren brood mares associated with a concentrate feed containing a moderate level of quality protein. For example, ADULT, or ADULT ENERGY are perfectly suitable if the forage fed fulfils the criteria mentioned above. Firstly, deficiencies in certain macro-elements can induce fertility problems. For example, phosphorus plays an important role in the synthesis of sexual hormones: a deficiency in this element can lead to problems with ovulation as well as longer periods of time between heats (which may even go as far as their absence, which is called anestrus). The diet must also provide sufficient trace elements, notably copper, manganese and zinc. A lack of the latter lengthens the duration of cycles, so ovulation is less frequent. Selenium is a powerful antioxidant. It has an important role in the functioning of the immune system responsible for protecting the organism, including the reproductive system. Therefore a drop in immunity is likely to reduce fertility and even be at the root of abortions. All nutriments that favour the immune system allow fertility improvement in the mare. Next, unlike vitamin K and the hydro-soluble B and C group vitamins, the liposoluble vitamins A, D and E are not synthesised by the digestive flora and must be provided in the ration. It has been shown that a deficiency in vitamin A or E leads to reproductive disorders. As antioxidants, these vitamins play an important part in stimulating the immune system and therefore in the protection of cells, notably ovules and sperm. They integrate into the lipid part of membranes stabilising and protecting from toxic components such as free radicals, heavy metals, etc. Moreover vitamin E intervenes in the synthesis of sexual hormones and permits an increase in uterine blood flow and the thickness of the endometrium (mucous membrane). As for vitamin A, it stimulates the appearance of heat, participates in the development of progesterone (steroid hormone implicated in the ovarian cycle) and, since it preserves epithelium integrity, it also facilitates ovulation and then the implantation of the embryo. Vitamin A can be supplied directly in the diet or through its precursor beta carotene. Beta carotene is known as the precursor of vitamin A. 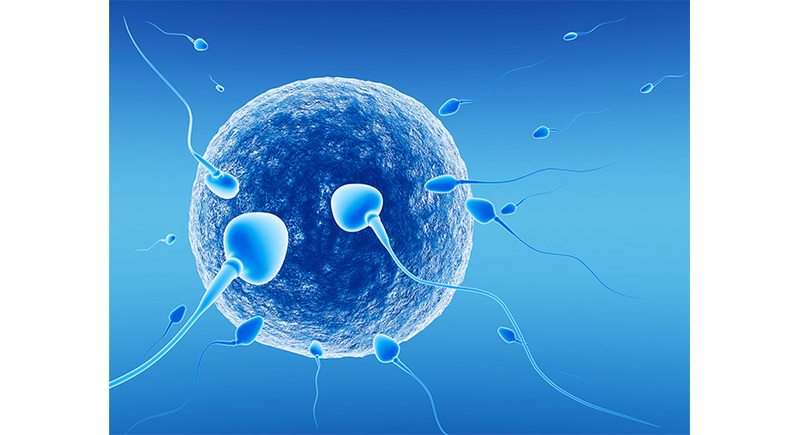 However its involvement in improving fertility is more complex. It is equally an antioxidant which protects cells from attack by pro-oxidant free radicals and reinforces the immune system. 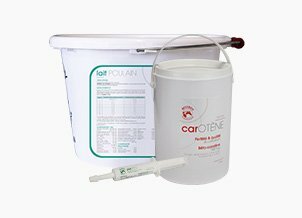 In the mare, ingested beta-carotene penetrates into the follicle (vesicle containing the ovule which it liberates at ovulation) where it takes part in the synthesis of vitamin A and oestrogens, hormones synthesised in large quantity at the moment of heat. Beta-carotene therefore improves the quality and the maturity of follicles. Following ovulation, it assures the correct functioning of the corpus luteum within which it participates in the synthesis of progesterone. It contributes in this way to maintaining gestation.. Beta carotene is therefore beneficial to fertility. Amongst the positive effects, we can cite: more visible heats, a reduced number of ovarian cysts, improved conception rate, a reduction in embryo mortality, less retained placentas, etc. Furthermore, as precursor of vitamin A we can also attribute to it a number of the benefits related to supplementation in this vitamin (protecting mucous membranes etc.). The daily requirements vary between 500 mg to 1,000 mg per day depending upon the type of forage consumed. Grass being naturally rich in beta-carotene (about 250 mg / kg dry matter), mares who are eating enough need only receive minimal supplementation. On the other hand, when we wish to bring forward the start of reproduction, supplementing with beta-carotene becomes essential. During the winter months, barren mares do not have (or have only very limited) access to grass. They only eat hay which contains a lot less (about 25 mg / kg dry matter), beta-carotene deteriorating quickly during storage. 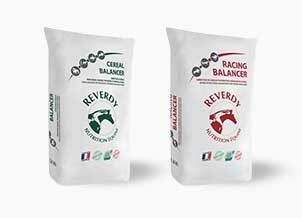 Finally, supplying sufficient feed, or a vitamin and mineral supplement from the REVERDY range fulfils the daily requirements in vitamins and minerals for barren brood mares. 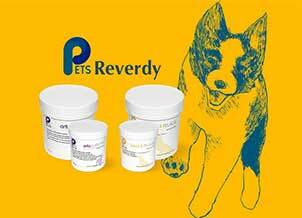 REVERDY CAROTENE which contains chelated trace elements which are very easily assimilated and stored by the organism, vitamins A and E and also a high dose of beta-carotene, responsible for the characteristic red colour of the pellets in this supplement. 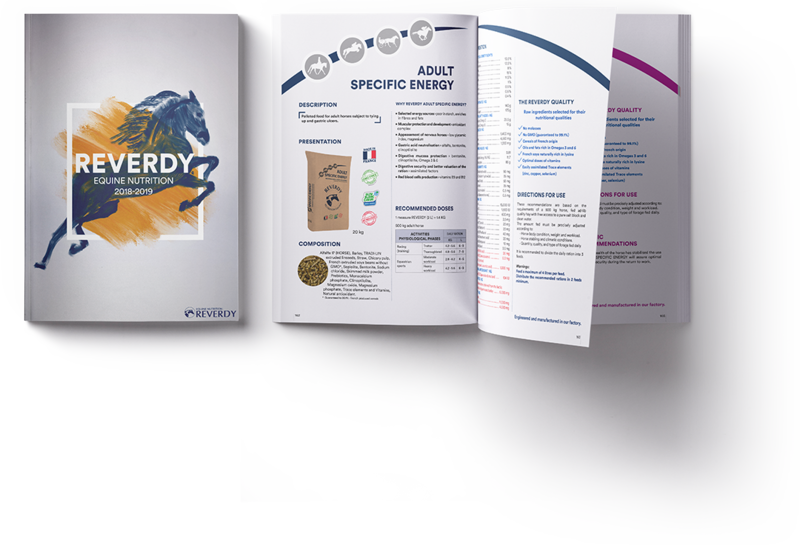 Thus giving a daily measure of REVERDY CAROTENE optimally fulfils the daily requirements in these nutriments that are indispensable to good mare fertility. Feeding is not the only factor to influence mare fertility. Sexual activity in the mare varies according to the season. Ovarian activity is important from April to October and more erratic from October to March, mares often experience a period of seasonal anestrus during this period. This seasonal difference is notably explained by a variation in the photoperiod (the connection between the duration of day and the duration of night) and exterior temperatures. Amongst these changes, the length of the day and in particular the amount of daily light holds a preponderant place in the seasonal sexual activity mechanism. The eye captures light and transmits this information to the brain, which in function of the luminosity received, secretes a more or less important quantity of melatonin, a hormone which inhibits the production of sexual hormones. So, whilst the days get shorter, the amount of melatonin increases (and vice-versa) thus inhibiting the production of sexual hormones. This is why from October to March, a drop in sexual activity with the absence of visible heats (seasonal anestrus) is generally observed. Also, in order to favour the early return of ovarian activity at the start of the season, it is possible to artificially lengthen the duration of day in winter. The aim is to artificially reproduce a total of 14.5 hours of “sunlight” in a day,, a duration which represents the critical threshold under which mares switch to short days (autumn/winter), and in consequence stop ovarian activity. In concrete terms, during winter, sunlight stretches globally from 8.30am to 5pm, a duration of 8.5 hours. In consequence, artificial lighting in the stable (using an ordinary or a low energy light bulb) for 6 hours allows the attainment of 14.5 hours of daily sunlight. It should be noted that this period of artificial lighting can be in one or two periods. For example, once from 5pm to 11pm, or from 2.30am to 8.30am, or in two periods from 5.30am to 8.30am then from 5pm to 8pm. To be effective, it is advisable to put this mechanism into place after the mares have acquired a short day rhythm, so at the earliest the 1st December. Next, the treatment should be continued for at least 35 consecutive days. The result will be the appearance of normal heats in treated mares with every chance that they will be served 70 days after the start of treatment, so towards the end of February if they have been exposed to this extra light from the beginning of December. Scientific research led in 2012 by Walsh et al. have made known the minimal luminosity to be applied to one eye in order to reduce melatonin production and therefore stimulate the early return to sexual activity at the beginning of the year. The results of this research has been used by Dr Barbara Murphy and her team who developed in 2013 a mask similar to a closed hood but with only one blinker equipped with a device producing a temporized blue light on a single eye. 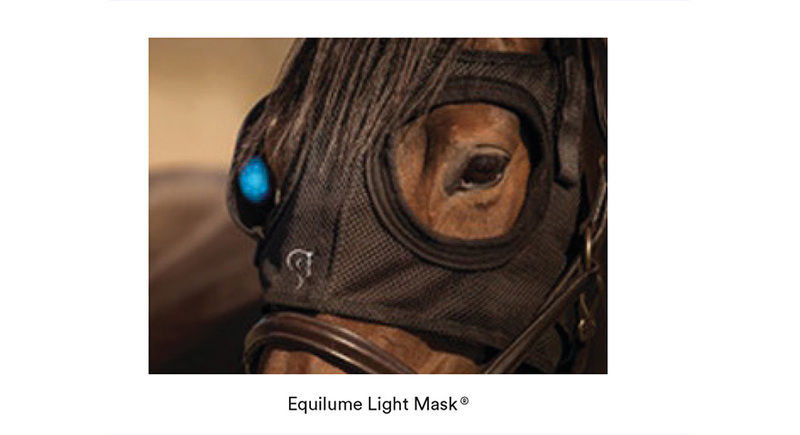 (Equilume Light Mask®). Lastly, as soon as exposure to artificial lighting is imposed upon the mares it may in theory be carried out in the paddock or in the stable. 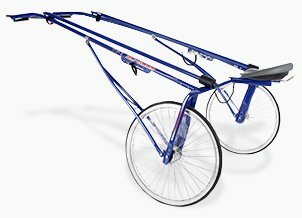 Nevertheless, we recommend the stable, not only for the practical advantages of this option (less powerful lamp required to light up the limited space, easier access to an electric supply, etc. ), stabling the mares at night protects them from the cold in winter. Thus they require less energy to keep warm, which translates notably by more easily maintained body condition and by a shorter, less thick winter coat. Ideally they should wear a rug whilst out in the paddock during the day. In this manner they will be better prepared for the reproductive season, which remember, is a luxury function. Diet plays a fundamental role in mare fertility. The daily ration must cover in an optimal way the daily requirements in energy, protein, vitamins and minerals, without excess or deficiency. 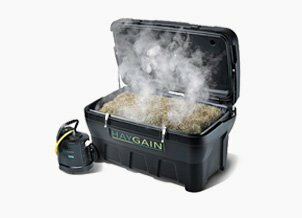 It is also necessary to ensure that the mares receive hay and concentrate feeds of quality, irreproachable from a sanitary point of view, the presence of mycotoxins can for example disturb the correct progression of cycles. Furthermore if we wish to put all the odds on our side, supplies of trace elements, vitamins and other nutriments that favour fertility such as beta-carotene can be reinforced by the addition of a nutritional supplement such as REVERDY CAROTENE. 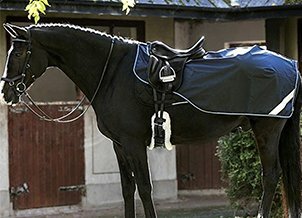 Conjointly, light therapy in the stable during the winter months will increase the chances of success. Finally, every effort must be made to limit stress in the animals, this latter inhibits the production of sexual hormones in the brain. For example, during the management of mares living in a herd, the establishing of hierarchy can be disturbing to the dominated mares who then meet with problems when put into reproduction.